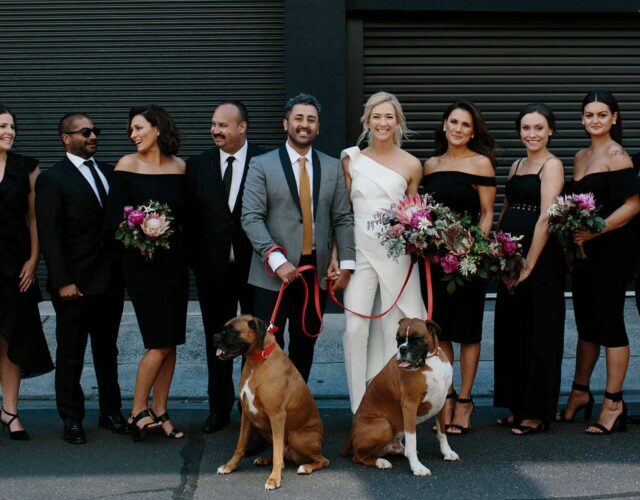 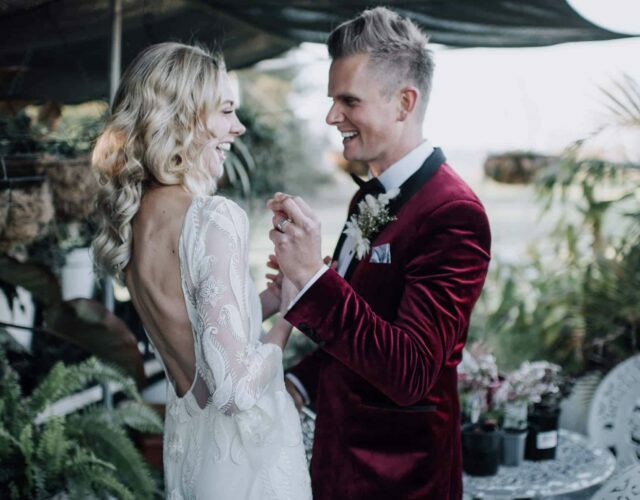 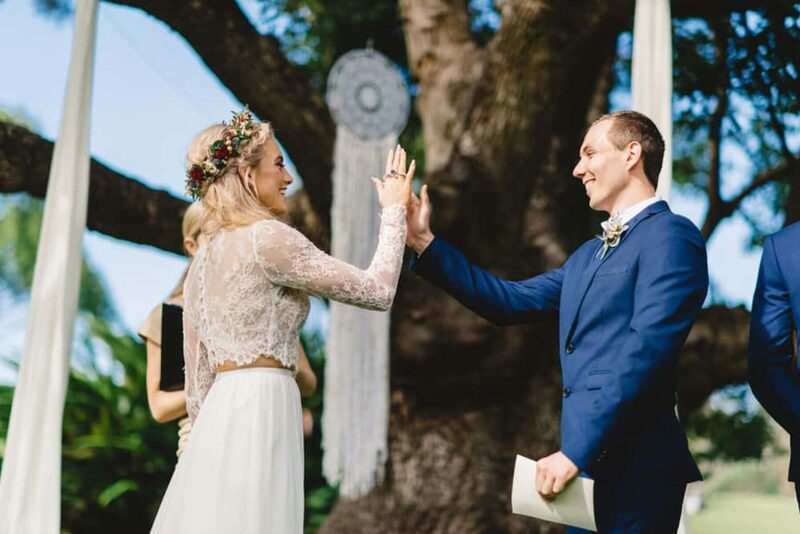 The order in which Allyce and Daniel swapped vows was decided the same way they make all their decisions – with a friendly game of paper scissors rock. 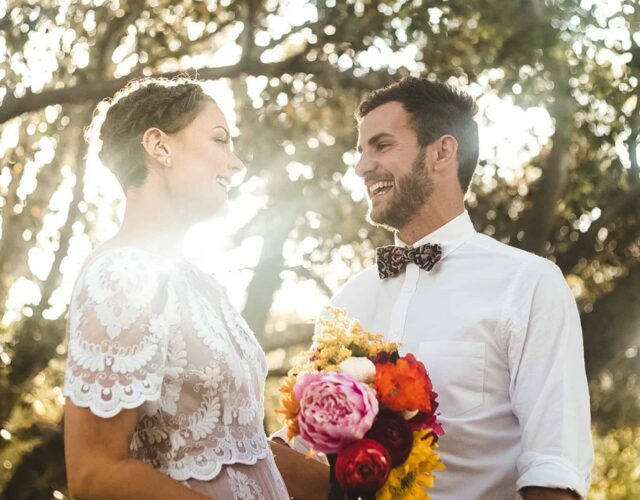 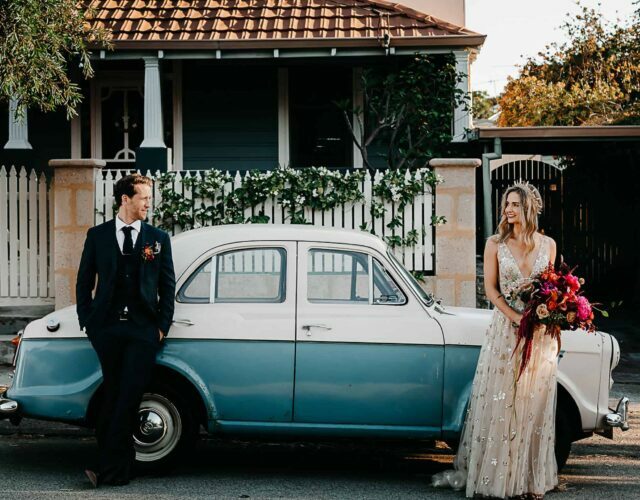 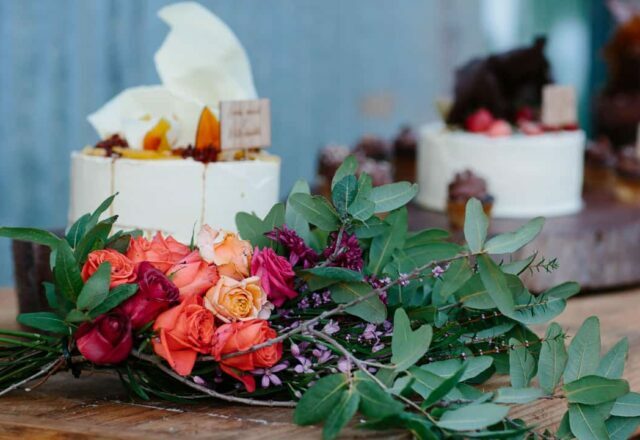 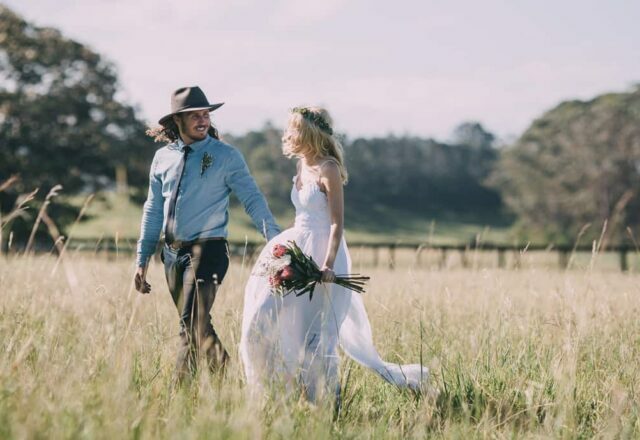 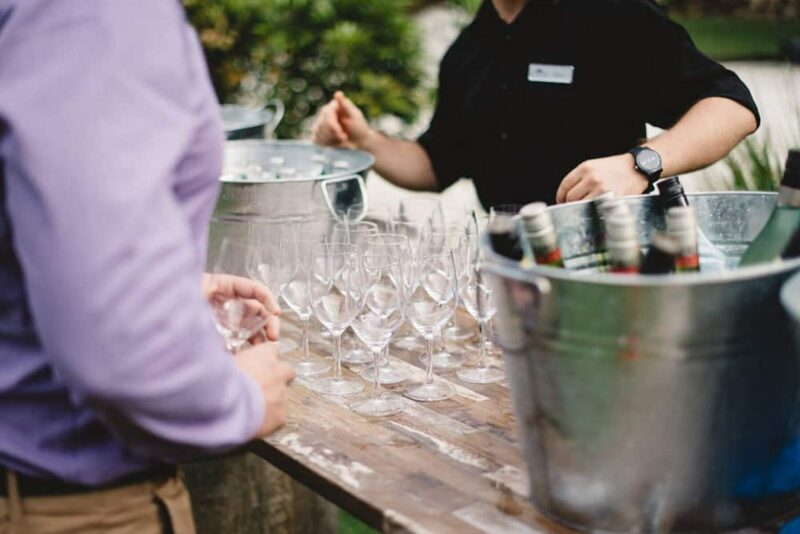 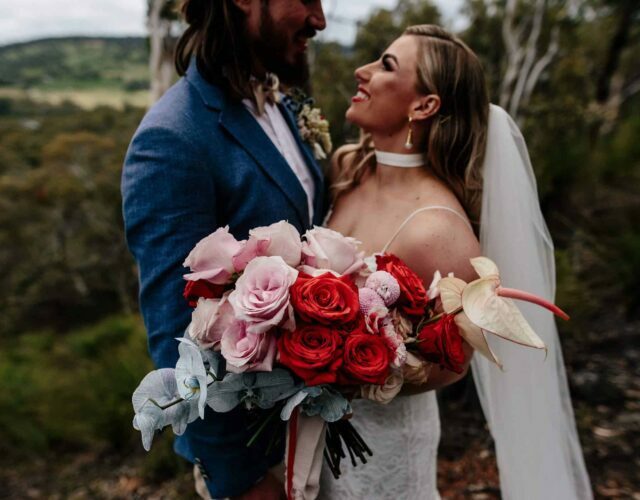 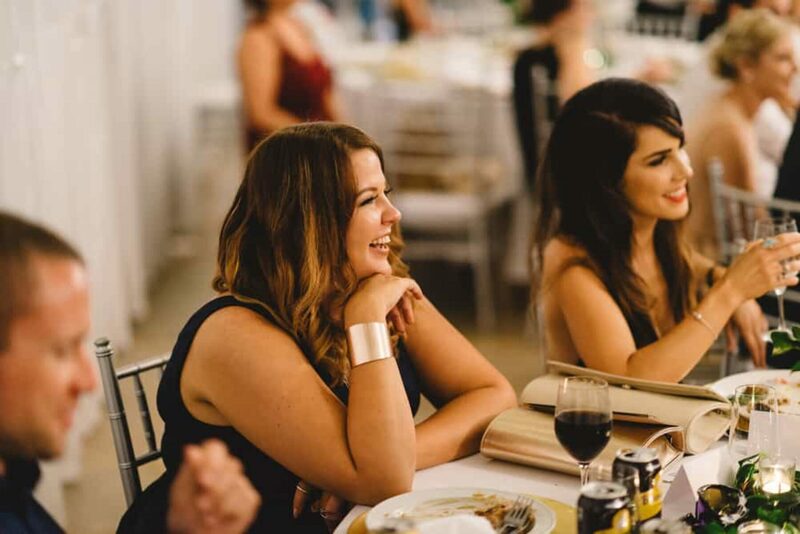 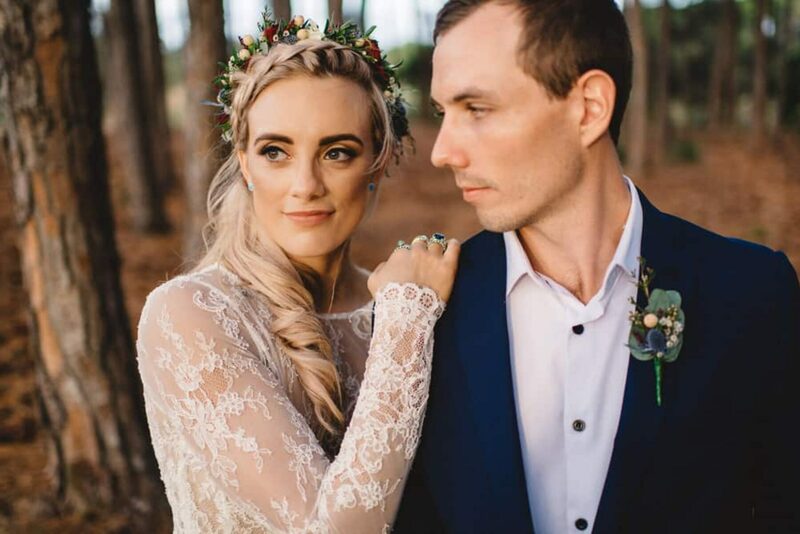 This cool couple had already won us over with their boho garden party wedding at Merrimac’s Braeside Chapel but the fact that one of our fave photography duos shot the whole thing is just an added bonus – Trent and Jessie never disappoint! 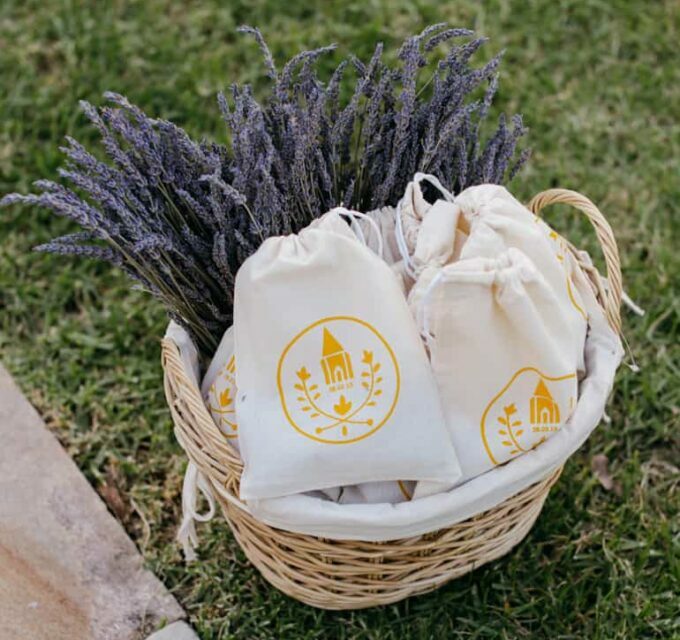 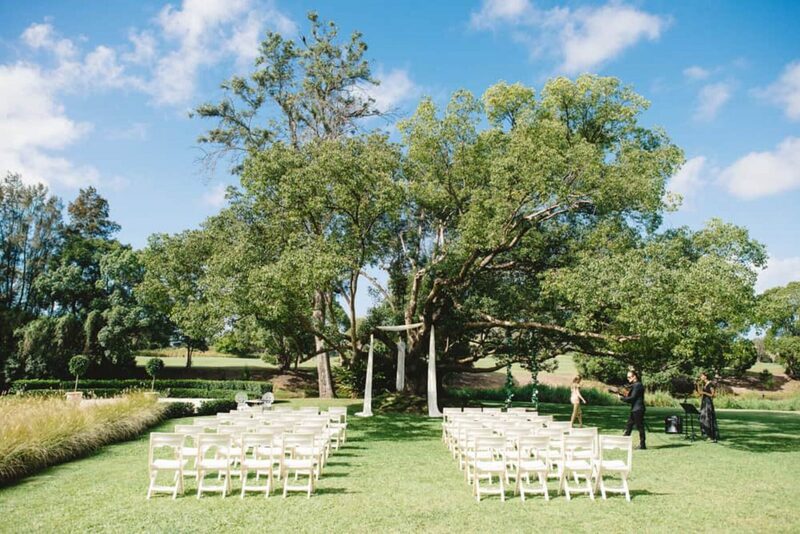 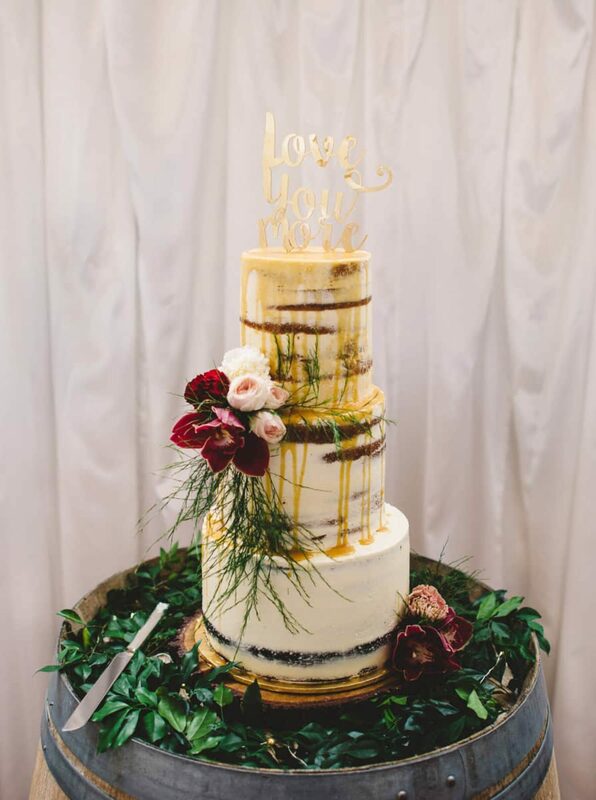 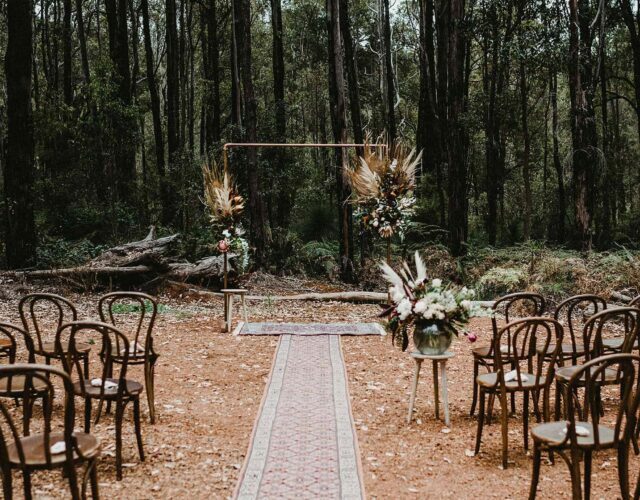 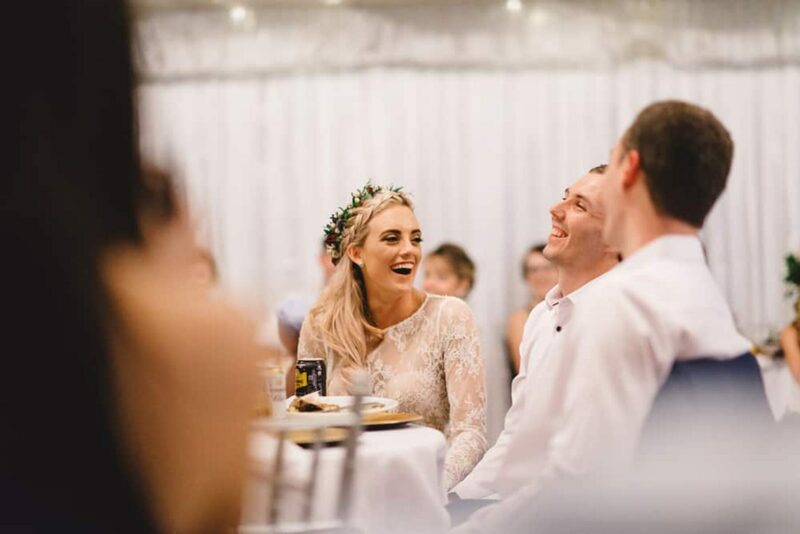 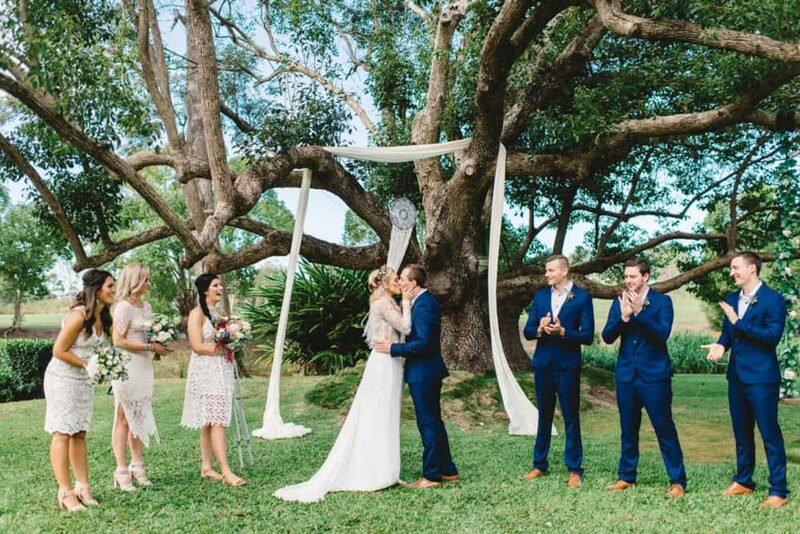 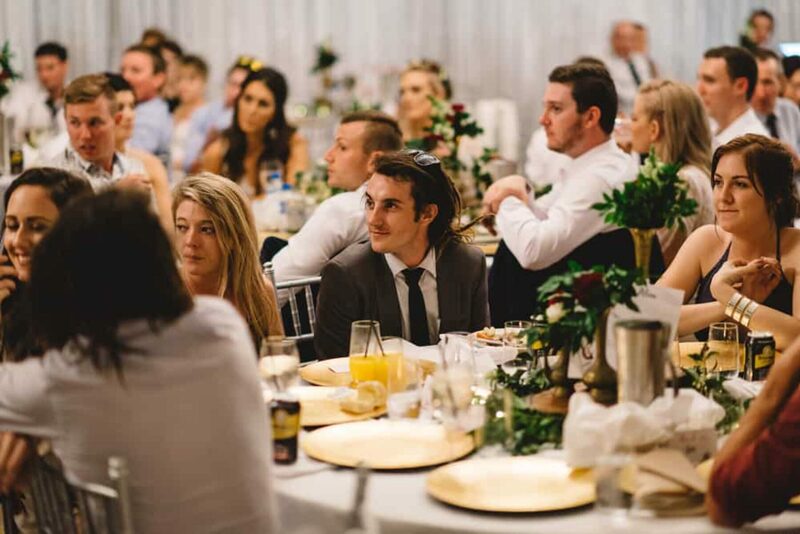 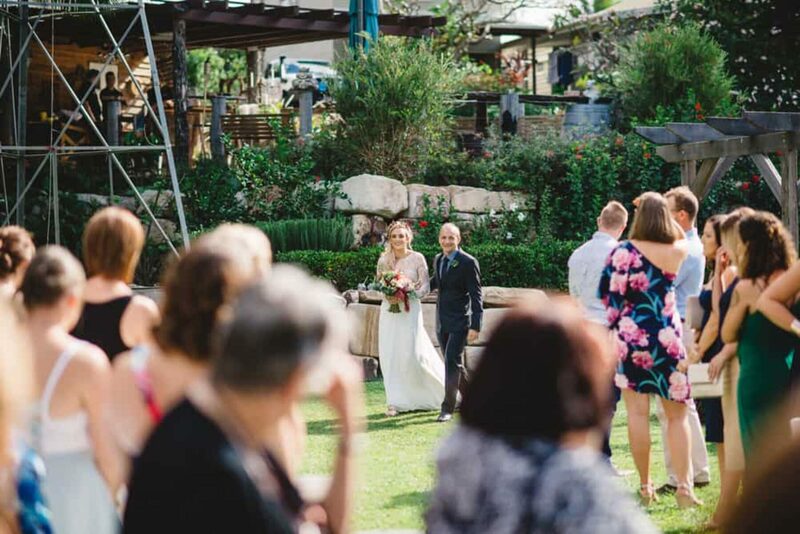 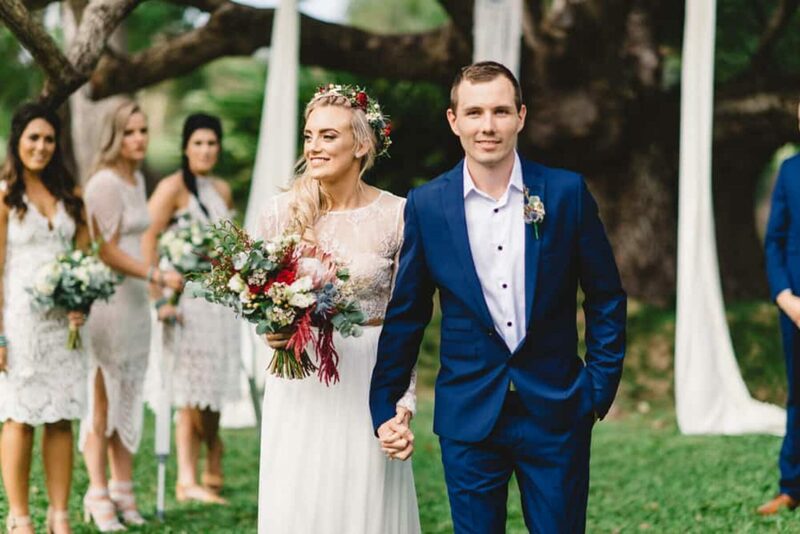 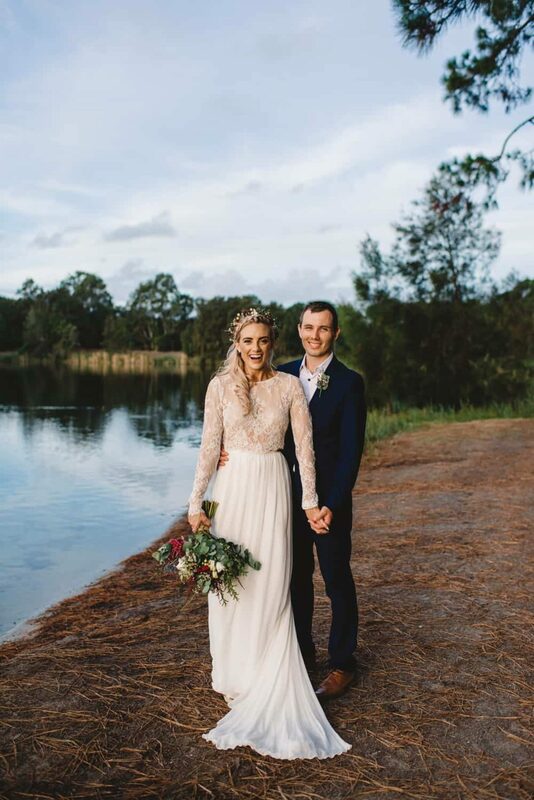 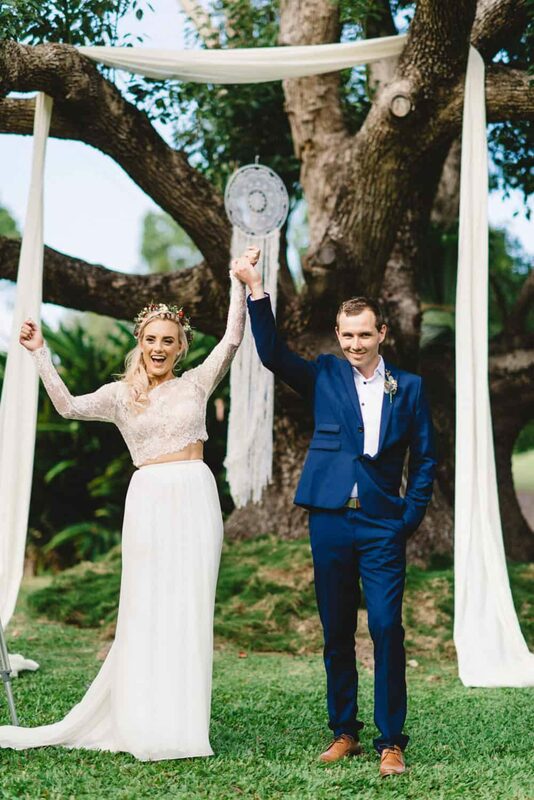 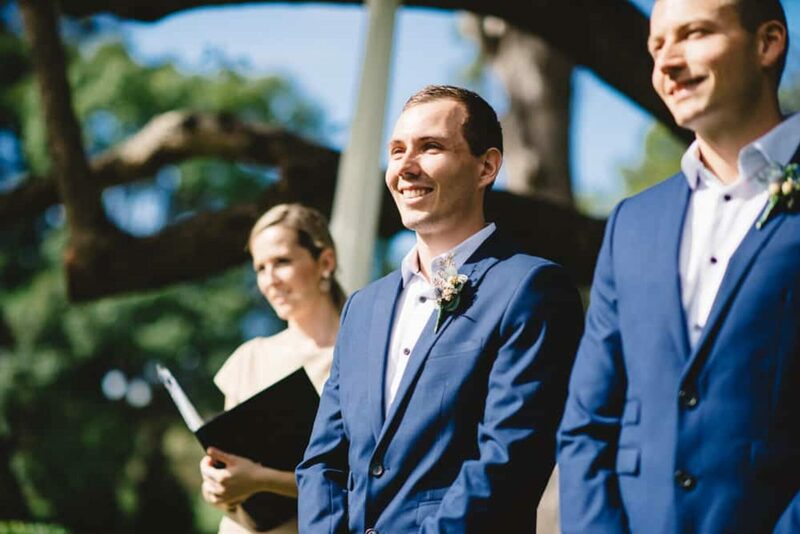 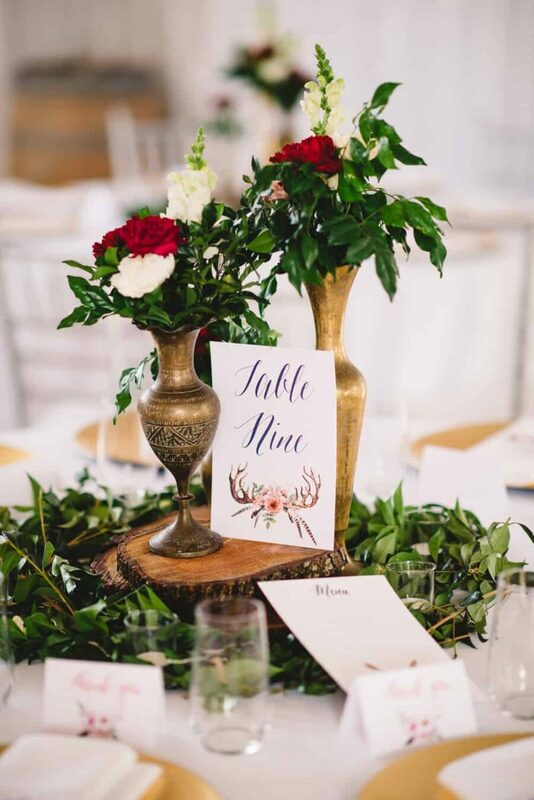 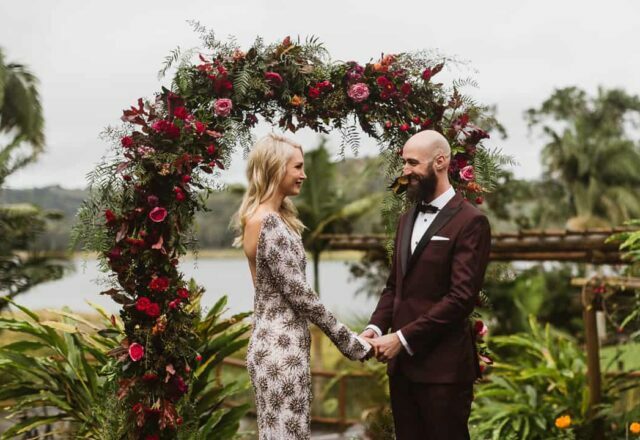 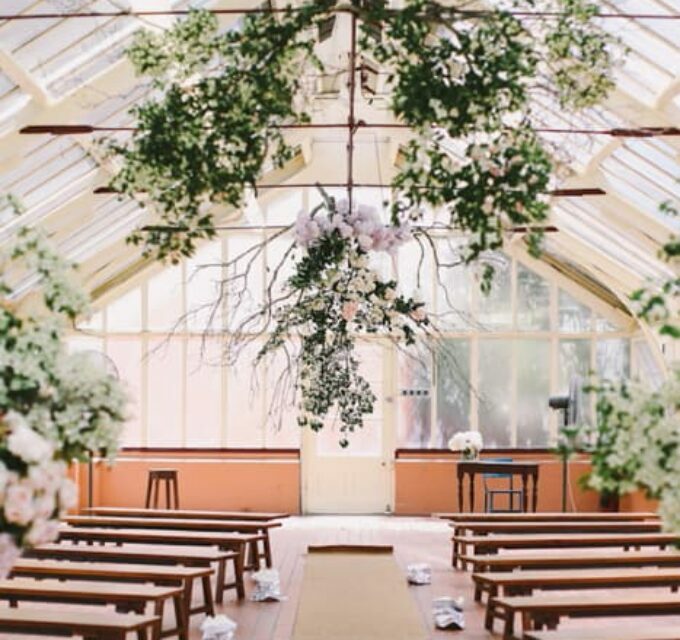 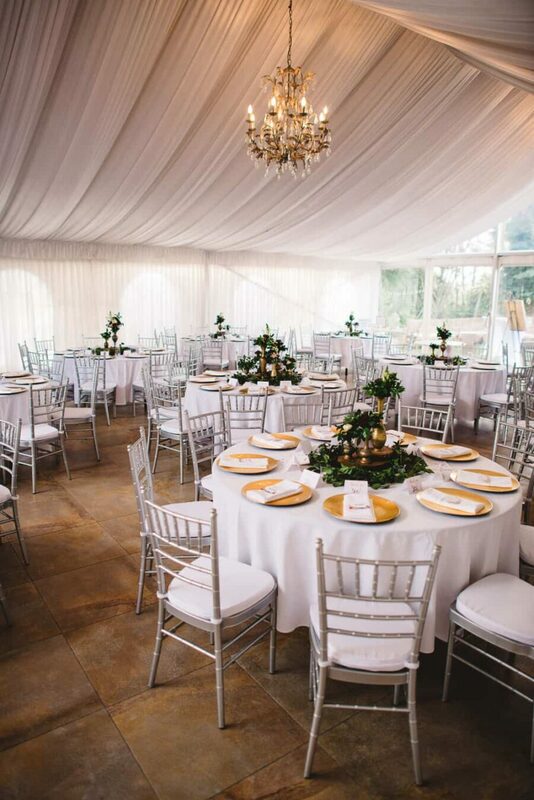 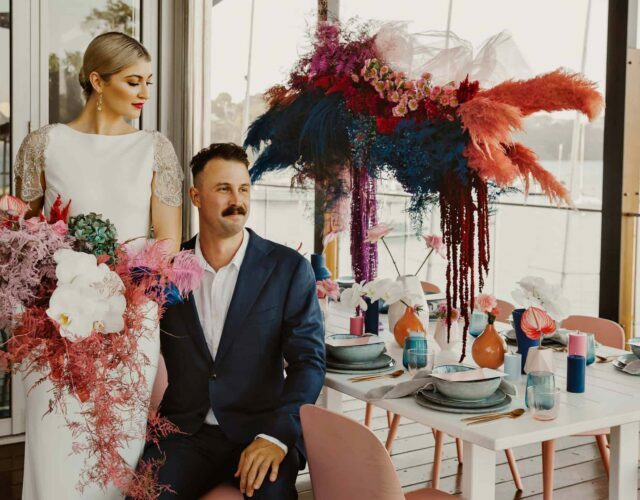 The ceremony itself took place under one of the most incredible laurel trees we’ve seen and the pair left the styling up to Mother Nature, save for some draped fabric and a dream catcher, while Gold Coast Wedding and Event Hire did the rest. 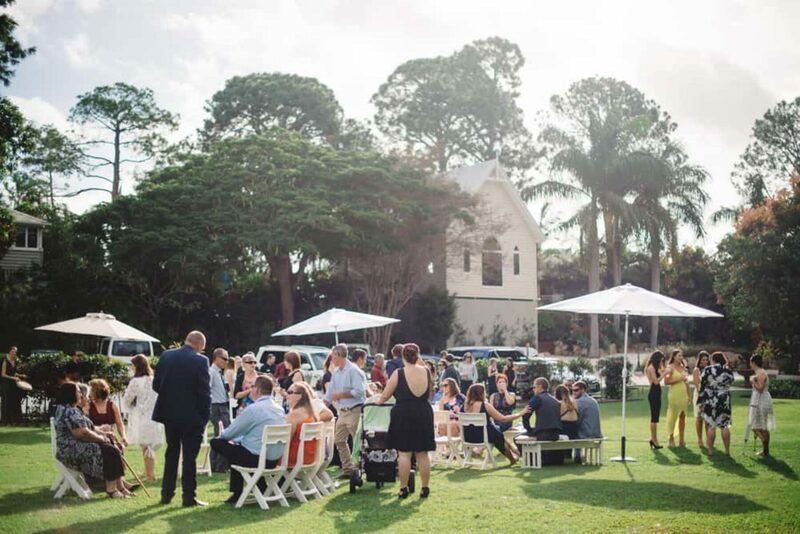 Canapés on the lawn were followed by a roast dinner (courtesy of Spits n Pieces) and a whole lotta dancing ensued – no surprise when you’ve got The Paper Flowers on board. 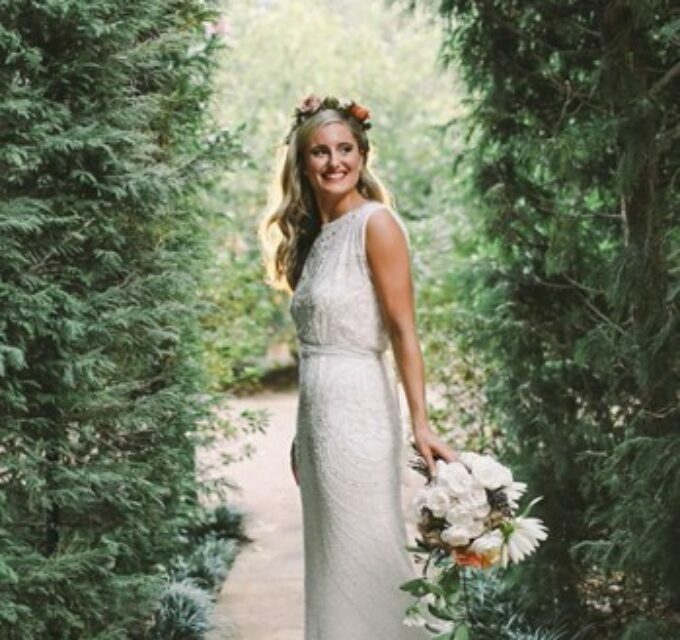 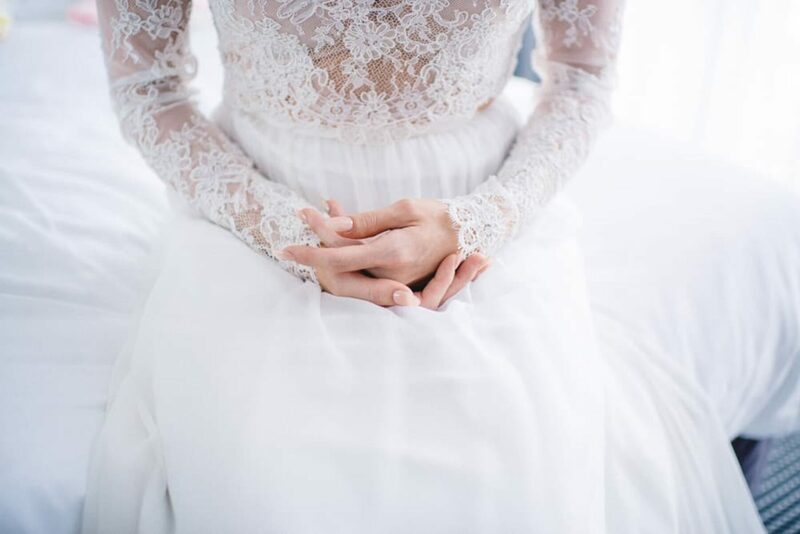 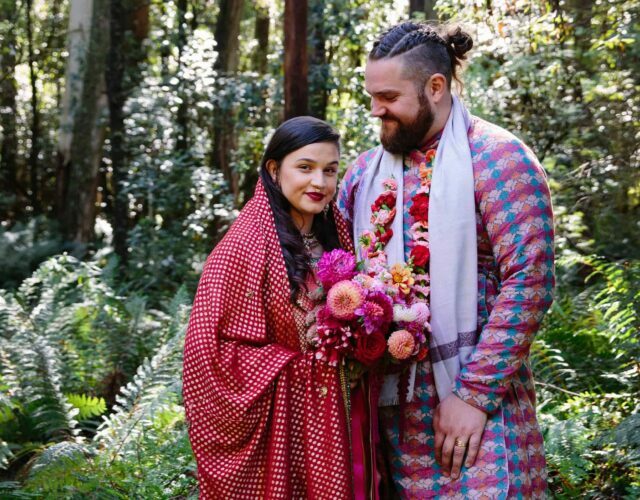 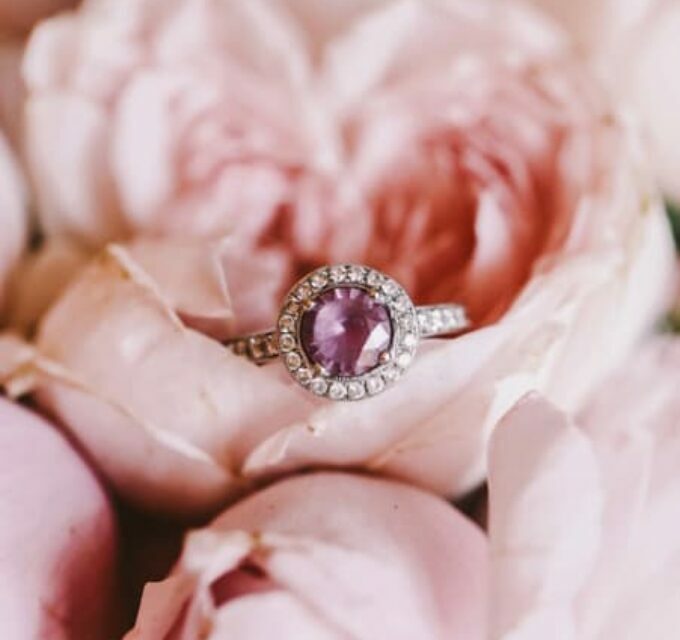 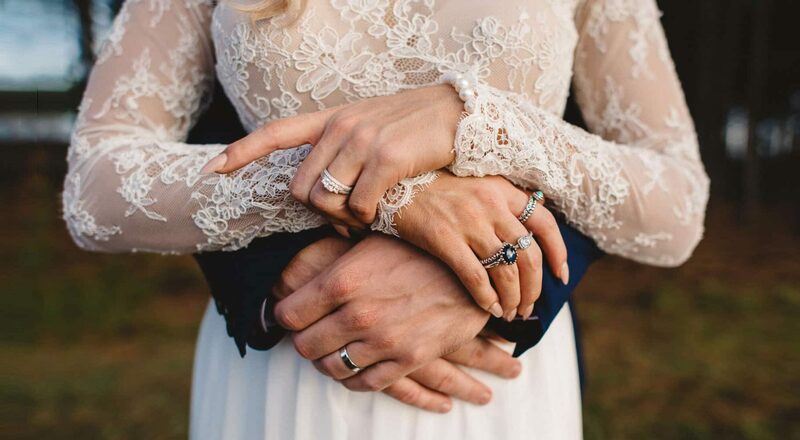 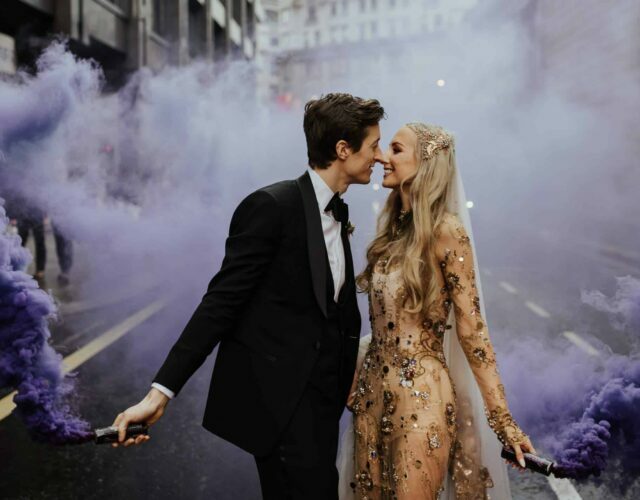 A two-piece Karen Willis Holmes number was the ideal wedding gown for this boho bride and she paired it with a gypsy like collection of rings. 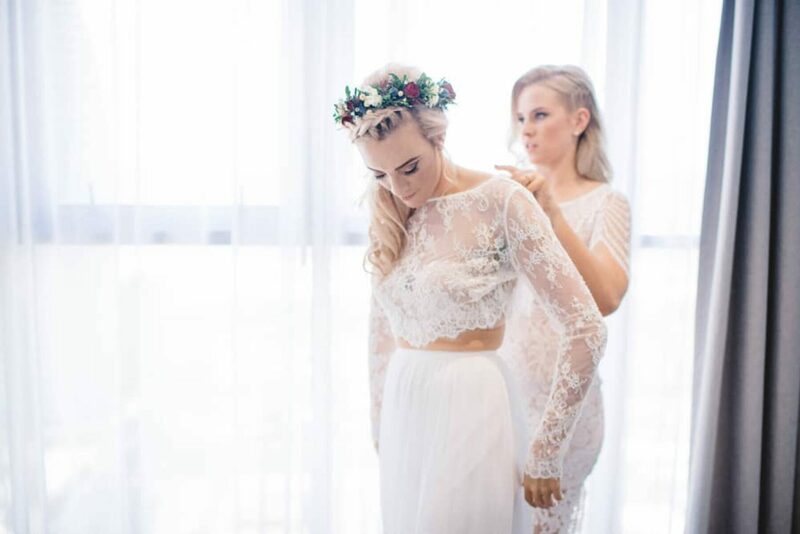 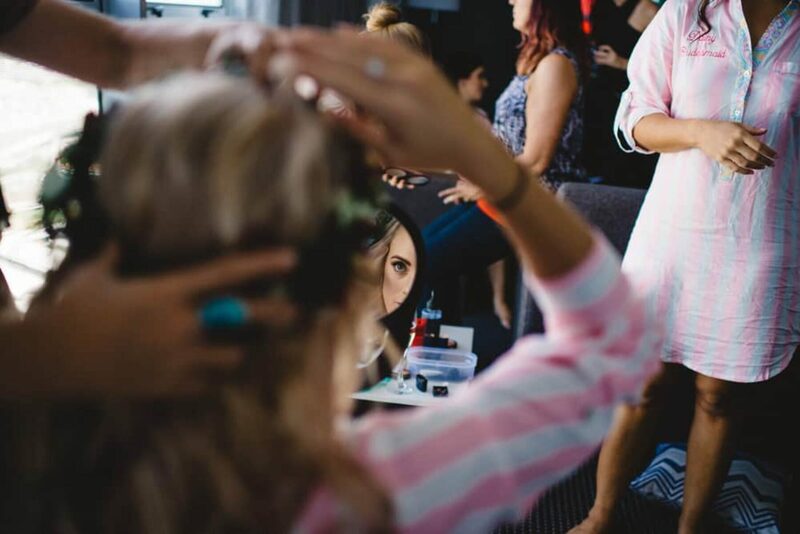 Erin Stuart Styles came up with the perfect ‘do for Allyce - an intricate braided crown with a wavy side ponytail, topped with a halo of native flowers. 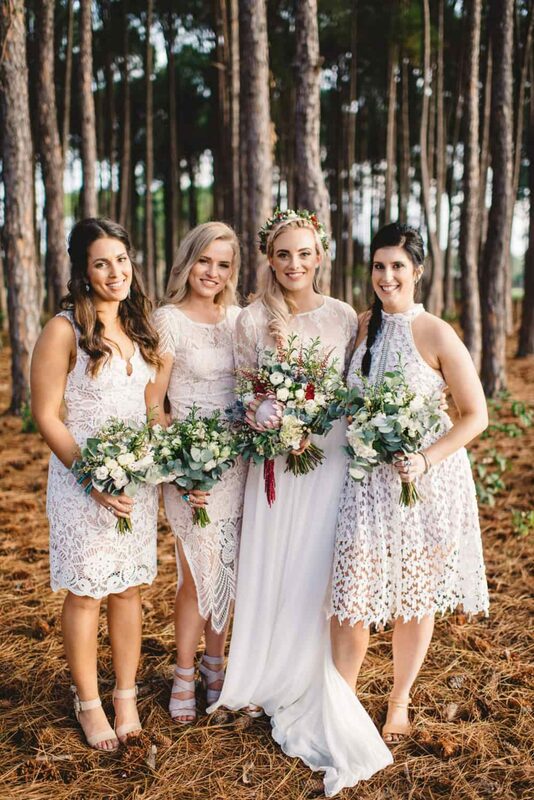 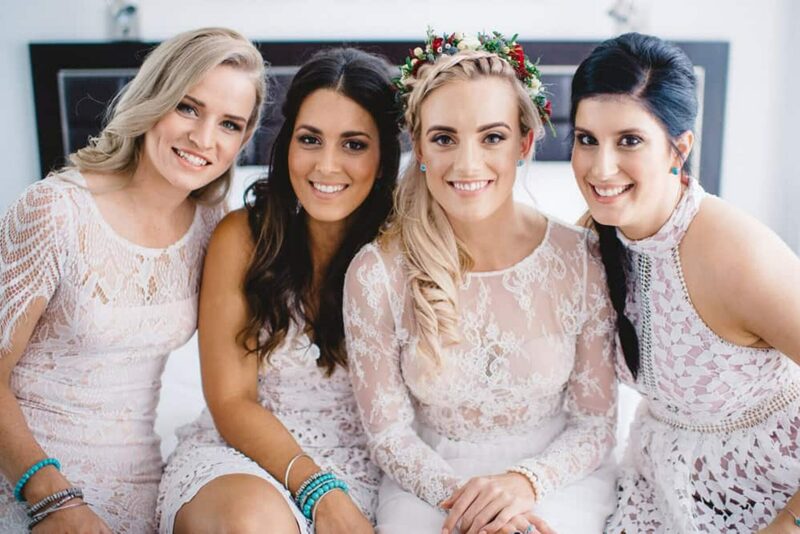 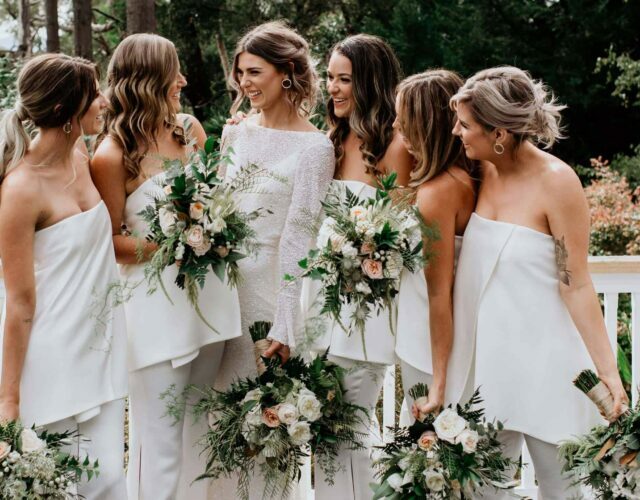 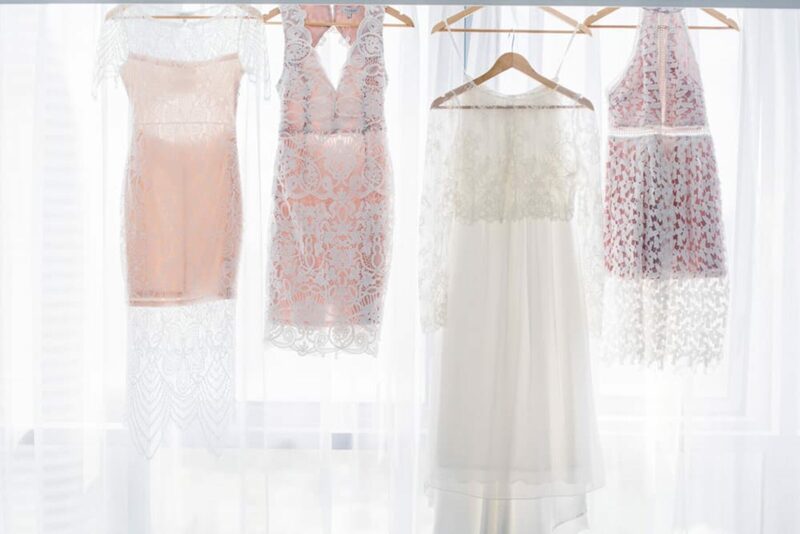 Allyce’s bridesmaids each wore an Esther white lace midi dress of their choosing, along with turquoise accessories from Lovisa for added boho brownie points. 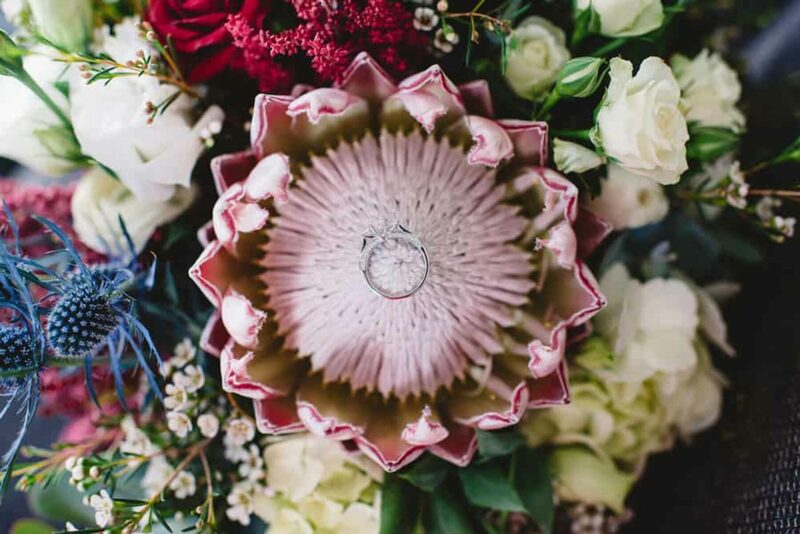 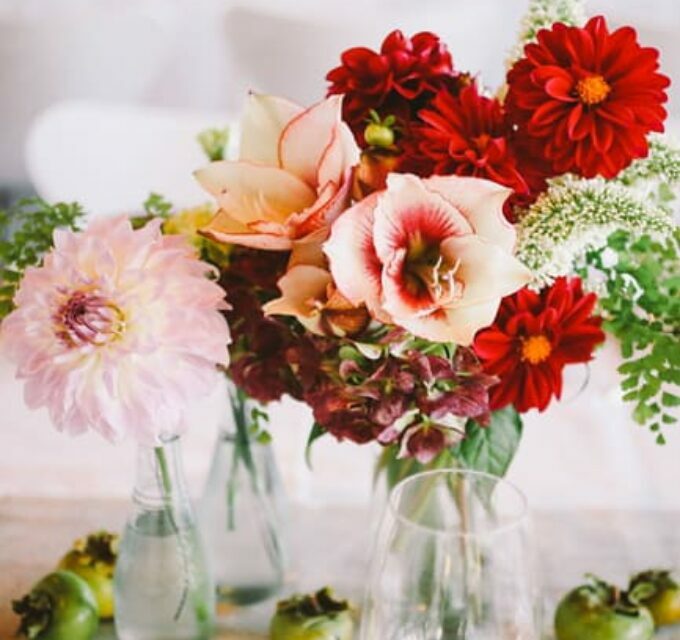 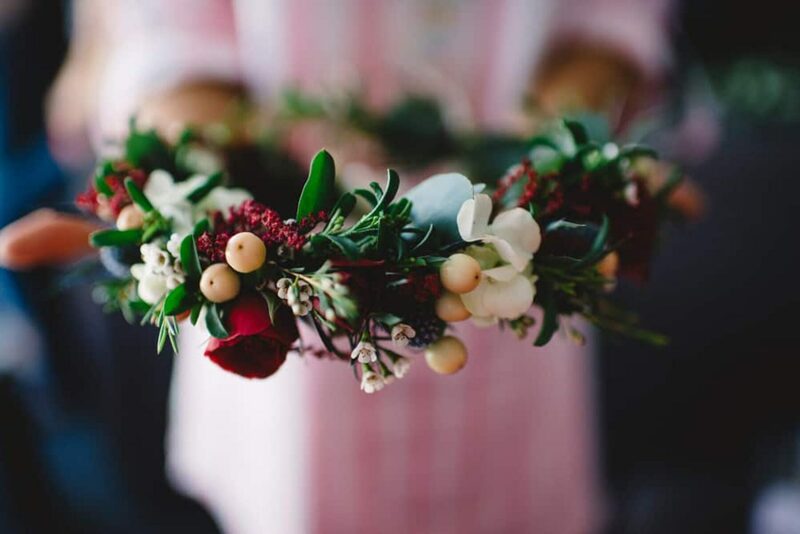 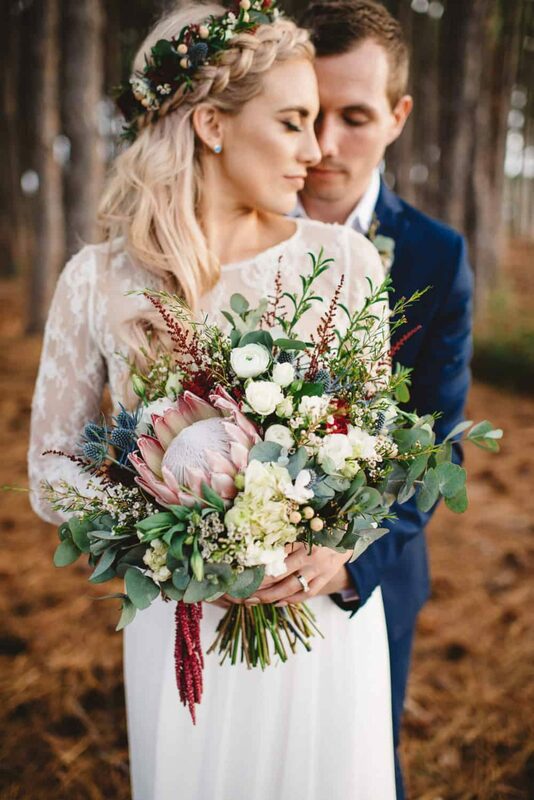 Bits and Buds crafted stunning white and green bouquets for the bridal party, with some red accents and a gorgeous protea for the bride. 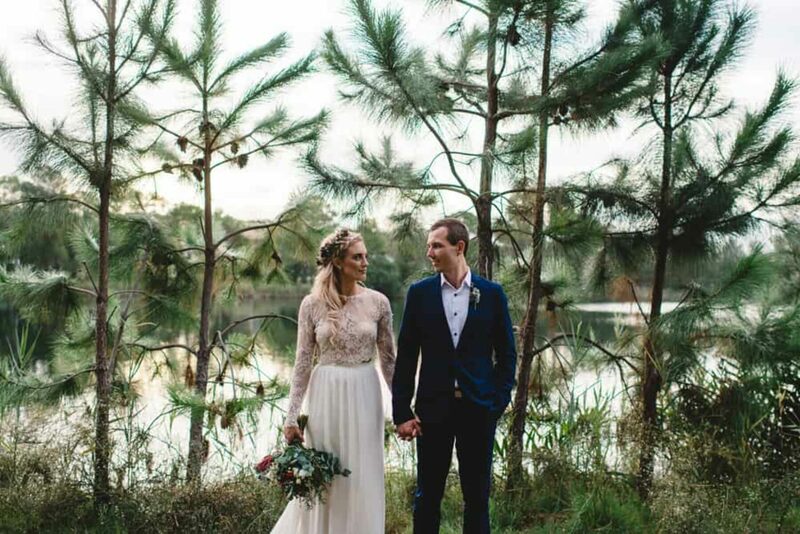 This happy couple had nothing but kind words when it came to photography team, Trent and Jessie, “These two were so great throughout our day. 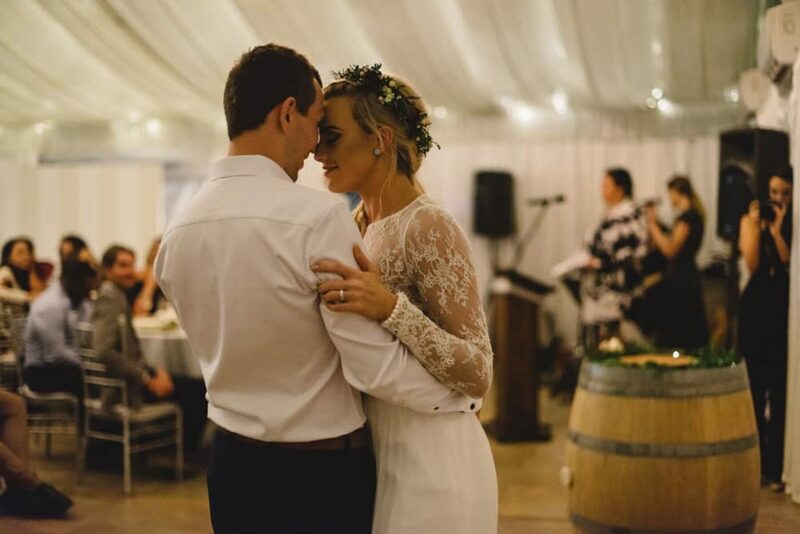 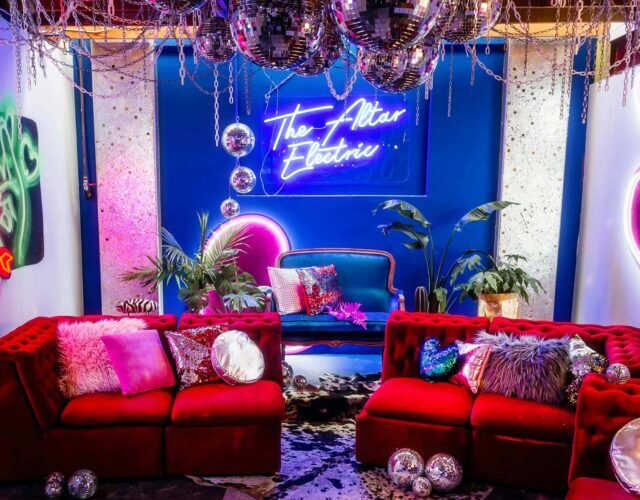 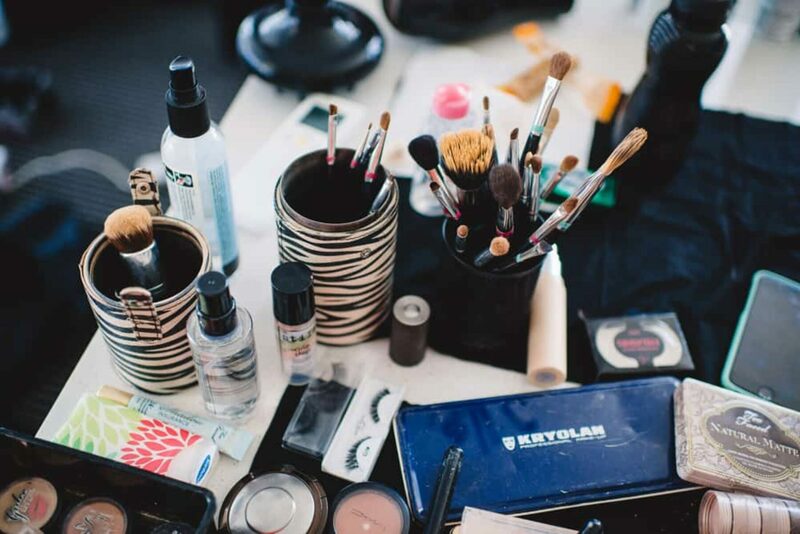 The loveliest people and so talented and enjoyable to be around!” says Allyce. 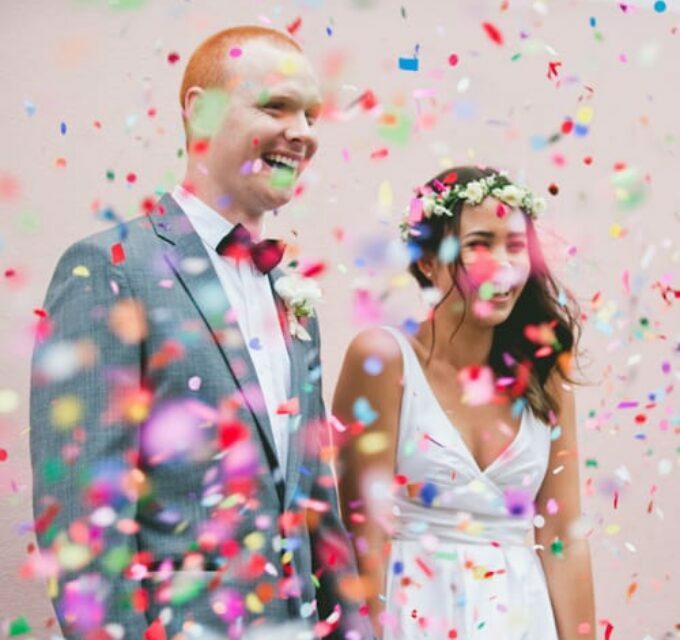 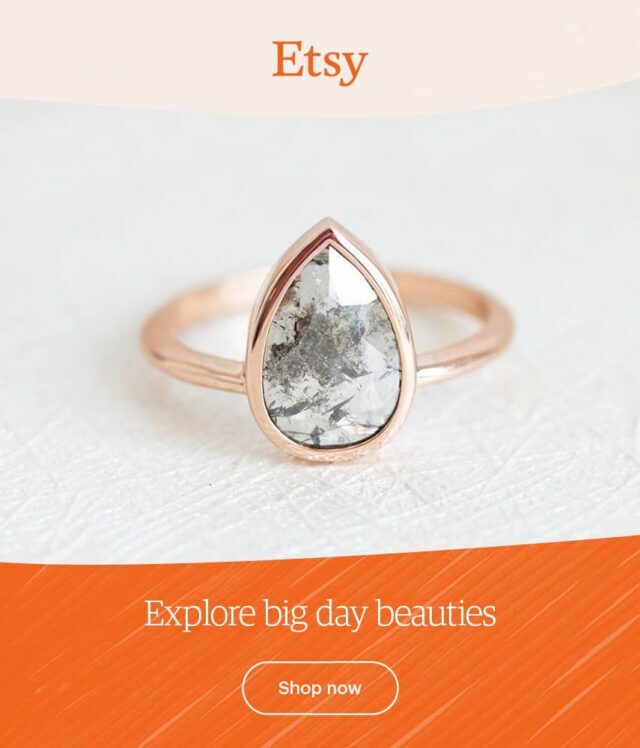 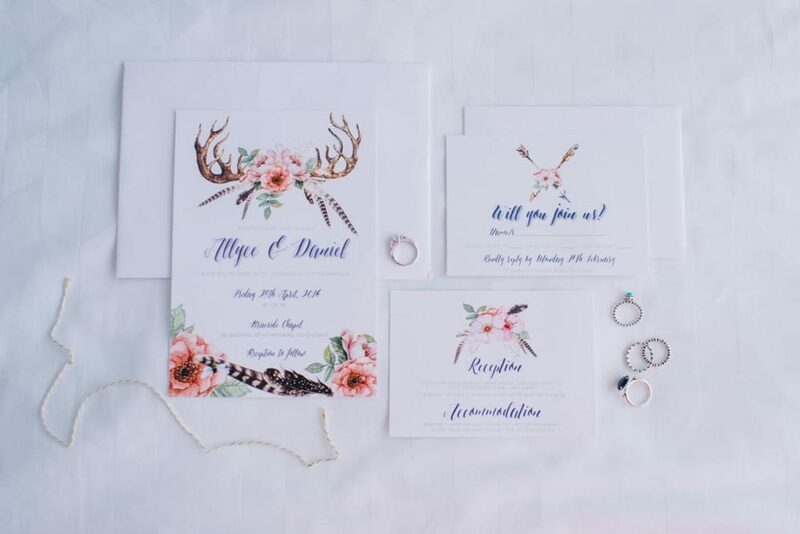 Hello, what beautiful pictures and fantastic way to celebrate your special day. 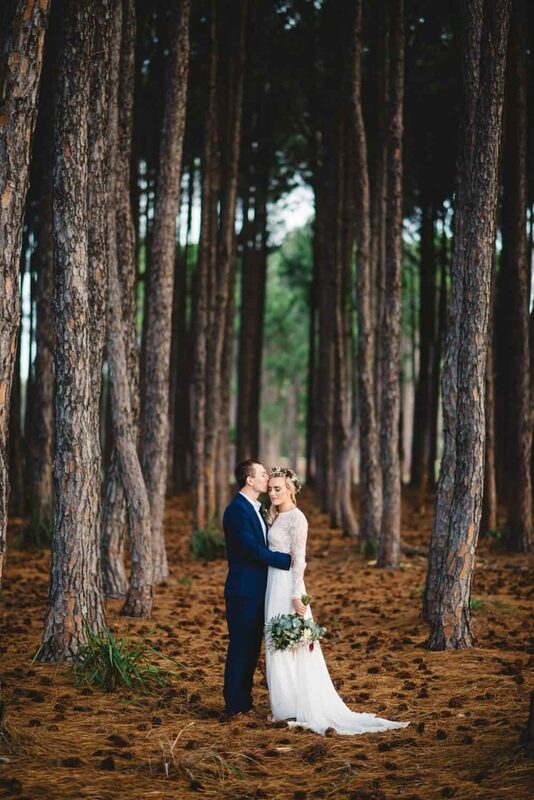 I especially love your pictures in a forest. 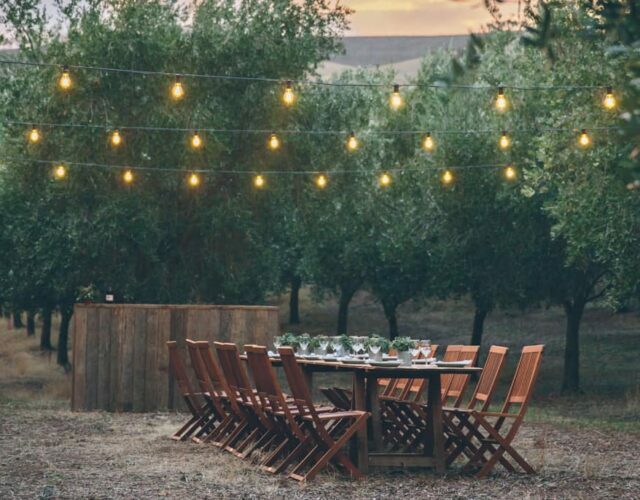 Where were these taken? 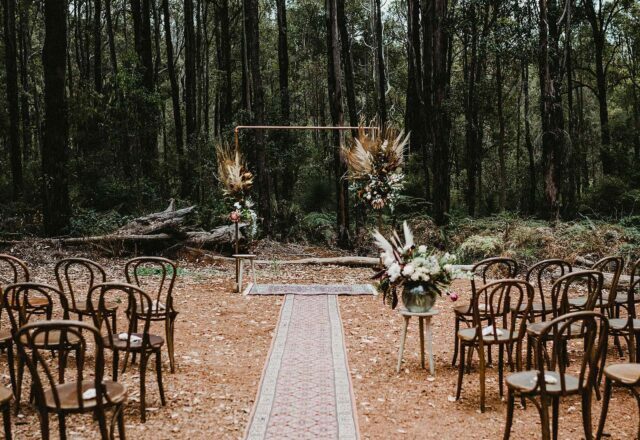 in Merrimac, near Braeside I imagine. 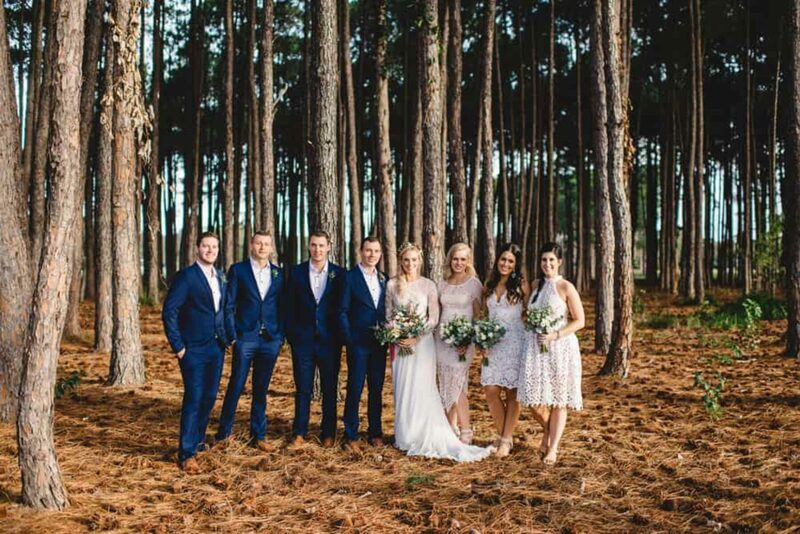 Any further details would be much appreciated.